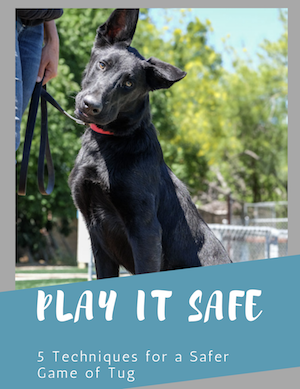 Learn simple techniques you can use to help your dog feel more empowered in play, while preventing injuries. 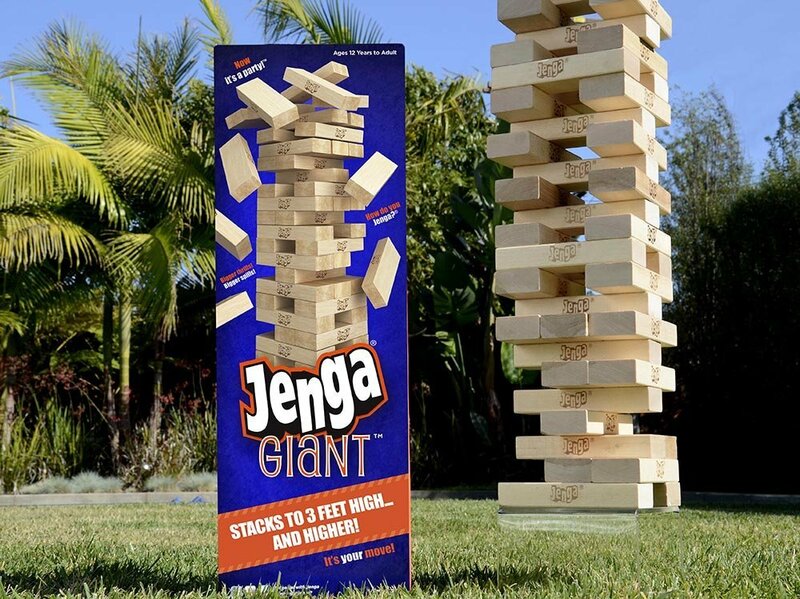 If you don’t know what Jenga is, here is a description from their website: “Jenga is a game of physical and mental skill… Players take turns to remove a block from a tower and balance it on top, creating a taller and increasingly unstable structure as the game progresses. The game ends when the tower falls — completely or if any block falls from the tower (other than the block a player moves on a turn). The one we were playing was the colossal version and stood at about 3 ft tall. And this game of Jenga was no different. Get instant access to our free guide (with video!) on playing a SAFE game of tug and be the first to know when we publish new articles. We took turns pulling out blocks and stacking them until the tower began to waver. Then, things started to get treacherous. I made a bold move and slowly and painstakingly removed a bottom brick, placing it gently on top, leaving the entire structure balancing on one narrow block. My nephew pulled the next block and, as I had predicted, the entire structure came crashing down, blocks throwing themselves every which way across my living room. I laughed and did my normal post win taunting, and then I challenged them to another round. But this time, I shifted strategies. I reminded myself after my first win, that these were my nephews. They were just kids. I mean, they were darn good competitors, but they were still only kids. I didn’t need to constantly beat them with my mad Jenga skills. I mean, let’s face it. If I did, they’d quickly grow tired of playing the game with me. And they’d probably think twice about asking me to play other board games in the future. I threw the next game. My nephew won with a glorious move. And I lost, as my block inevitably made the tower come crashing down. So what does Jenga have to do with our dogs? 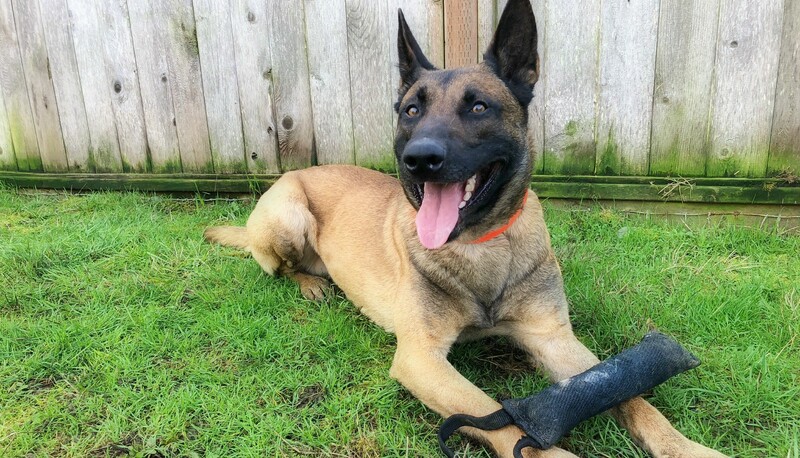 For me, there is no better way to build my relationship with my dog than through play, and more often than not, toy play – and specifically a good game of tug – is my go-to strategy. 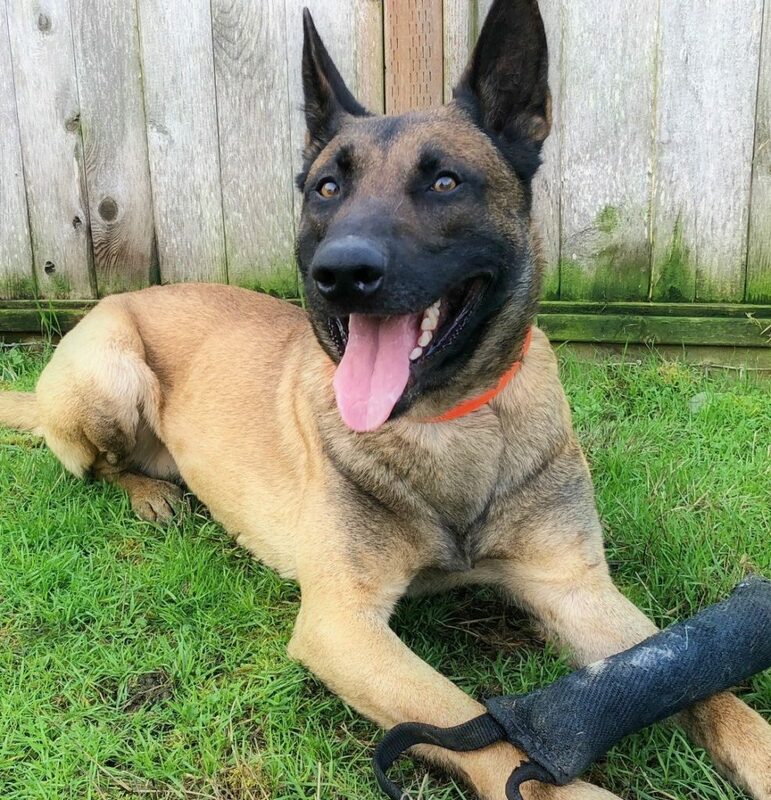 But playing tug with my dogs, whether my goal is to use it as a reward in my training, to bring motivation, or I’m just playing for fun, is no different than that Jenga game I played with my nephews in my living room that day. Who wins when you play tug with your dog? I mean, tug is a very Mano-a-Mano game. It’s my dog vs. me. So who emerges the victor? I’ll give you a little hint…it’s not the dog. In some instances, HOW you make the dog lose can increase frustration and thereby motivation for the toy. But this only works with dogs with good drive. And it only works if they log wins more often than losses. At the end of the day, if your dog loses enough rounds, and never logs a win, they WILL quit. You will suffer a loss of confidence as conflict rises. They won’t want to play WITH you any more. Instead, they’ll hoard, or play on their own. Or they will quit altogether as they learn the game isn’t one they can win. Your tug game WILL lose value and engagement will decline. To keep motivation and confidence high, and to keep your tug game holding value, simply let your dog win from time to time. Let them best you with their strength. But if you do, don’t be obvious about it. Here is a strategy that I use often. Play tug with your dog. 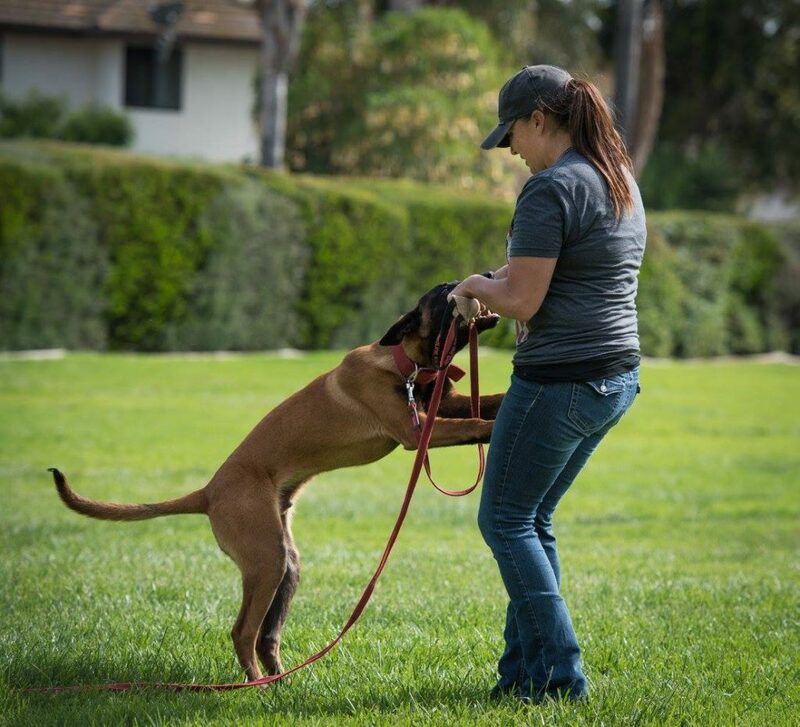 Letting your dog win a game of tug can be huge for boosting his confidence and keeping him engaged in play. But remember, don’t let him know you cheated. Just like my loss to my nephew would have been for nothing, had he known I threw the game, your dog has to believe he beat you in a game you actually wanted to win. Yes, you can ask your dog to “Out” the toy. And yes, you can take it from him on occasion. But make sure he wins more than he loses. Not only will this increase your dog’s confidence in the game and minimize conflict, it will also keep him coming back for more. 7 replies to "Bested by a 10 Year Old: A Simple Strategy to Build Confidence in Your Dog’s Tug Game"
I am definitely guilty about telling my dog to “out”. She is guilty of pulling until my arms feel like rubber and I just can’t hold on any more. I really like your advice. Max (my Rottweiler, not a trials dog but we do lots of walking and trekking together and plenty of scent work) and I often play tug and I think we have great fun. My approach has always been to tug with enthusiasm but let him win with big smiles from me and much verbal praise to him that he must be the strongest dog in the world! He always offers me the tug toy immediately so we can play again. In the dog training world here in the UK I have seen a lot of people making this such a serious activity, make a game of it that is light hearted and fun for both participants. Interesting article and opposite of everything I was told. I’ve heard never let your dog win at tug across the board from typical dominance trainers like cesar milan (he actually had an article saying never let win) and from the completely 100% purely positive victoria stillwell trainers such as the one I work with. My trainer hates cesar millan and is all about victoria stillwell and positive only and she even told me not to let my dog win at tug. Granted My dog is a Cane Corso which is huge bullybreed and known for walking all over weak owners/handlers. Needless to say i never let her win and she still likes to play with me. I’ll usually give her a good minute or so of tug then have her “drop it” in exchange for a high value treat or higher value toy. This article is brilliant and I hope everyone will follow this advice! Thank you for writing this! Meagan Karnes, thanks a lot for the post.Really thank you! Much obliged. I often play tug with my Amstaff x american bulldog pup. I let her win regularly and praise her greatly for it. Sometimes she runs off happily to play on her own, sometimes she wants to engage more, I let her choose. I also have a ball for the park that only comes out when it’s park play time, and put it away again, -before she gets sick of it- when we are walking around so that I can utilise it as an engagement tool if she is being cheeky or reactive. I also often say ‘give’, look at whatever she has given me, and say “wow so cool’, or if it’s a bone she brought to show me I pretend to have a nibble, etc etc, and hand it back to her. This has resulted in her always giving me whatever is in her mouth, and this is especially handy when she finds something ‘yummy’ in the park or street. Most of my dogs and I love to play tug so I have not taken the advice I’m about the write out. I have been told playing tug is bad, I think the main reason given is that it teaches them to fight you in the off chance they have something they shouldn’t. Like a hand or another animal. How would you respond to this?